How To Choose The Right Technology Partner? In today’s competitive digital landscape, independent software vendors (ISV) rely on technology to build strategies and provide best services and solutions to customers. But the abundance of tools and fear of choosing wrong tools and technology partners can lead them to miss out on potential opportunities. There are several stories online about bad technology decisions that resulted in failed deployments, wasted budgets, and grievous business impacts – with many of them focusing on deconstructing the mistakes and driving material outcomes. But what’s the secret to making good technology decisions and choosing the right technology partner? This is where many ISVs and small to mid-sized businesses (SMBs) fall short. So, here we have listed three important factors that ISVs need to consider in selecting right technology partners. Get AssistanceOur skilled team can help you in selecting your right technology partners. The offshore product development (OPD) or technology partner should possess an in-depth understanding of various industry verticals and technical expertise in building software applications for ISV’s product areas. You must assess the number of products/applications the technology partner has built throughout the product development life cycle (PDLC) as well as their ability to resolve complex challenges. Ensure they have a proven track record of mission-critical enterprise app development, IPR (Intellectual Property Rights), and source code protection. A good technology partner not only thrives by keeping ahead of the learning curve but also proactively makes optimum utilization of resources that goes into every stage of PDLC. This helps an ISV leverage the experience of the industry-best professionals while staying ahead of the competition. When it comes to software development and maintenance, the support and services should not be offered till the completion of the project, but beyond that period. The service provider should believe in “We stand by you, come what may” mantra and go an extra mile to help you achieve success. They must have a formidable reputation for its services that an ISV can count on. The ISV must ensure at the outset that their potential prospects are willing to offer a wide range of trusted services and maintenance support they can turn to, anytime. The technology partner must have certified professionals that invest time in learning new technologies, its trends and certifications. This helps the resources to stay ahead of the learning curve while solving complex problems in a variety of applications. Also, check the headcount of the company with their ability to scale infrastructure and resources on demand. If the choices you have shortlisted seem overwhelming, the best way to make right technology decision is to enlist the skills of the technology partner and assess whether it suits your business needs and models. 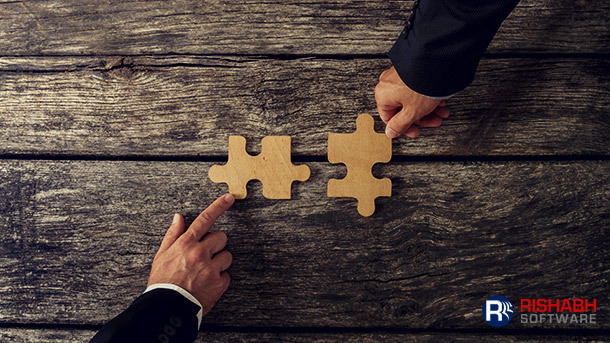 Combining their expertise and knowledge with your service model and implementing a holistic, ongoing process of technology partner selection can have a great impact on your organization. Rishabh Software is one of the leading technology partners, delivering custom IT solutions to clients worldwide. Leverage our efficiency to build consumer-focused mobile solutions or modernize legacy applications for your enterprise. Get a Free ConsultationTalk to our experts to choose right technology partners.